As the first ‘bike city’ in the world, Copenhagen boasts a whopping 450+ kilometres of designated cycle lanes. 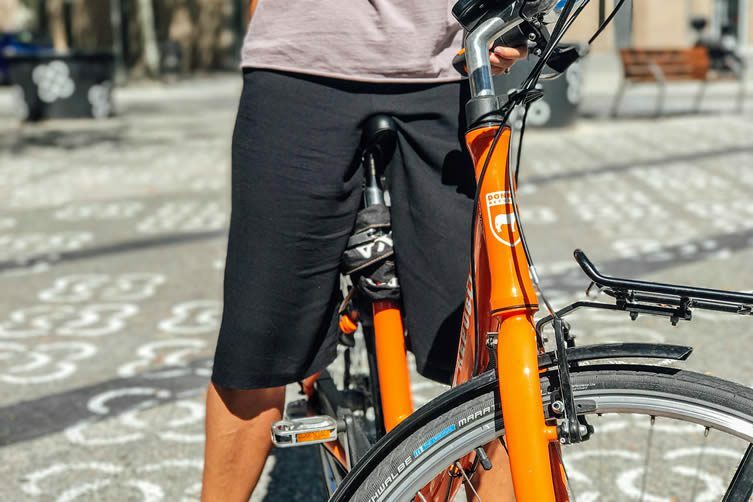 The topography is largely flat, the air clean, and in a city as expensive as the Danish capital, cycling is an affordable alternative to public transport or owning a car. 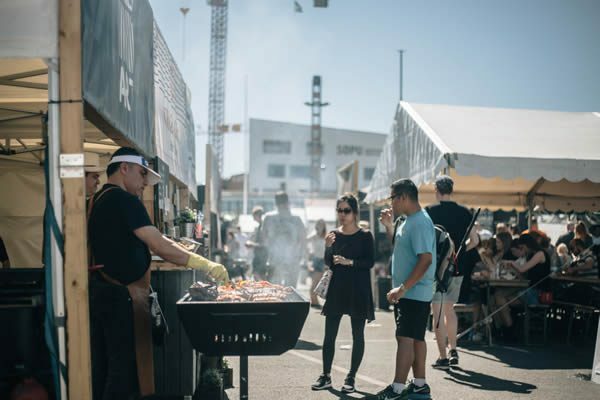 We arrive on a sunny morning in late May with an itinerary that includes checking out a handful of neighbourhoods, hip coffeeshops, craft beer bars, and food markets. With no time to waste we check into our hotel, hop on the WiFi and open up an App. Because it’s 2017. 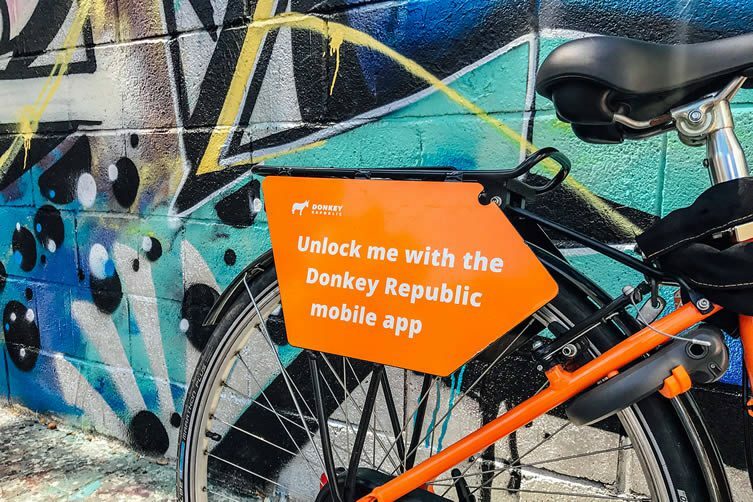 Donkey Republic’s App-enabled locking system, founded on the surprisingly simple lo-fi principles. A relatively young brand, the concept behind Donkey Republic started very small back in 2012; founder Erdem Ovacik inspired by a roommate who’d left bikes in and around the city for friends to borrow when as and when required. 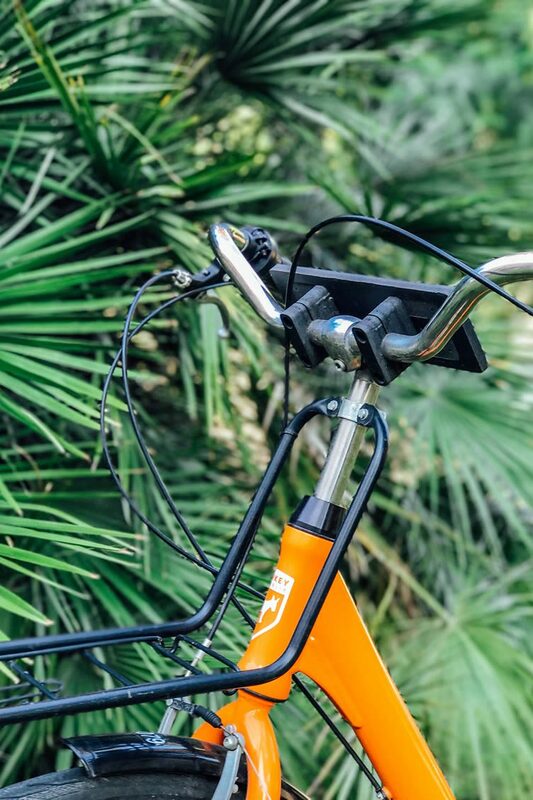 Secured with combination-code locks (omitting the need for keys to be exchanged), Ovacik wondered how the bikes could be shared with anybody at anytime — and after some beer-fuelled brainstorming sessions, an ingenious bike-sharing platform was born. 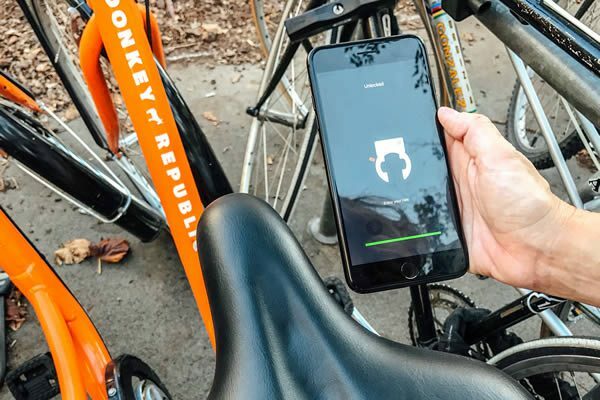 Today Donkey Republic is a global bike-sharing system that enables riders to rent and unlock a bike using just their smartphone. Connecting to the lock via Bluetooth, the process is quick, simple and slick. 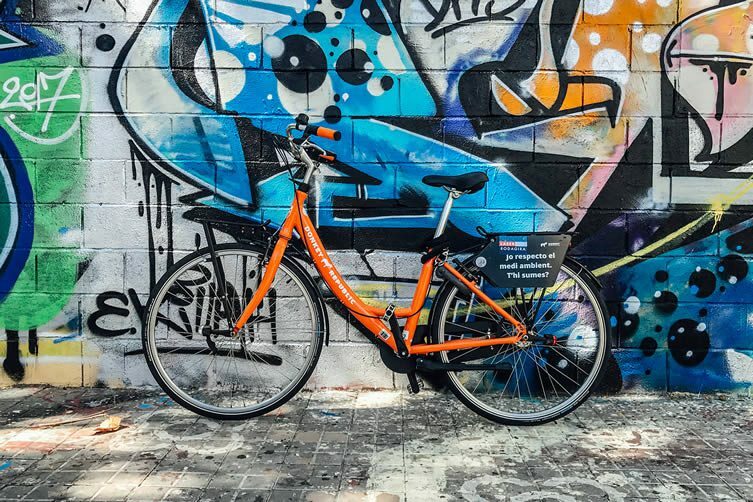 Unlike most traditional, city-funded bike-sharing systems, Donkey Republic bikes don’t need docking stations — taking up less space in congested cities and making your rental much more flexible thanks to the removal of infrastructural complications. Cycling through ‘bike city’ Copenhagen. 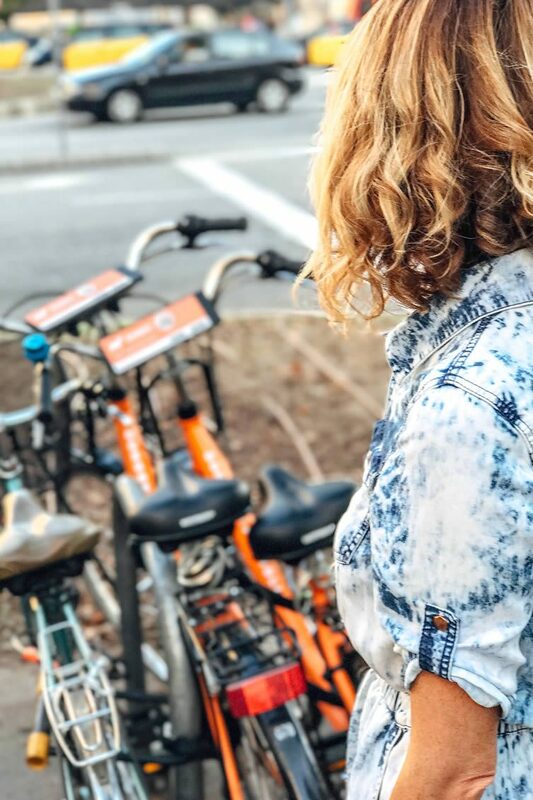 To rent simply open the App, find the nearest bike, choose a rental period and unlock it with just a couple of taps of your smartphone screen. Available all-day every-day, you can rent up to five at any given time, and lock/unlock them till your heart is content; safe in the knowledge that there’s no prohibitive open hours for them to be returned, no deposits to be collected, and no keys to lose (goodbye deposit). 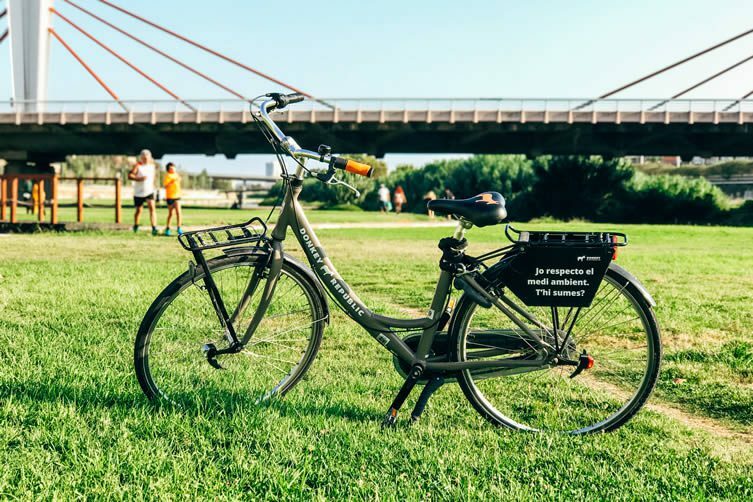 Partnering with locals in each city, the bikes are owned and managed by people who have first-hand knowledge of the area. 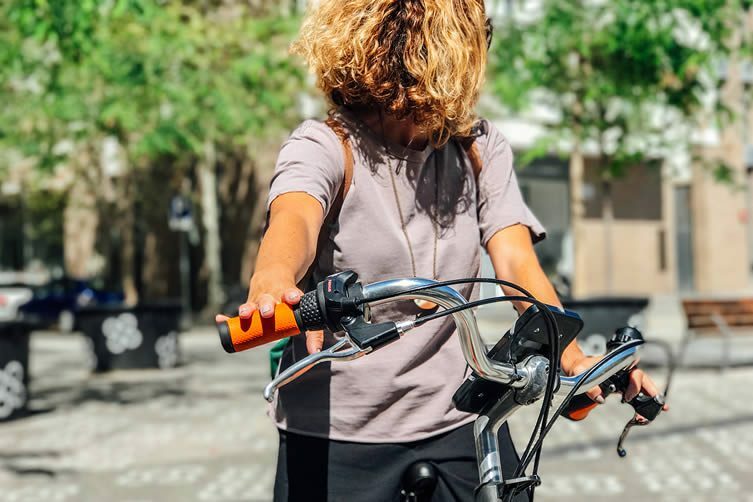 Through the use of designated pick-up and drop-off locations and GPS, those local teams are able to distribute bikes accordingly and track their whereabouts. 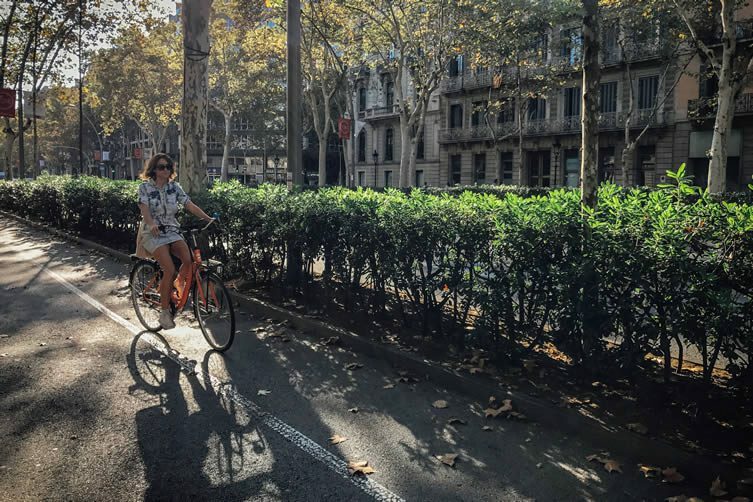 Barcelona’s Mediterranean climate makes for easy exploring by bike. 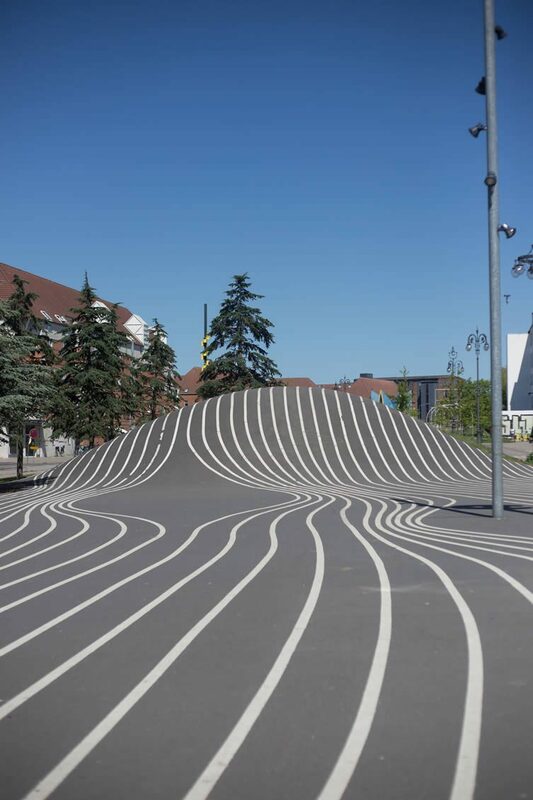 Superkilen park in Copenhagen’s Nørrebro district, one of the many discoveries you might miss when exploring the city on foot. It’s the end of our first day and we’ve cycled over 15km in around four hours, seen everything we’d planned on seeing and come across Kødbyens Mad & Marked; a food market in the Meatpacking District filled with food stalls, craft beer brews and good music. Arriving on bicycles, we’re able to pull right up to the entrance and adapt our plans to suit our new discovery. Kødbyens Mad & Marked, Copenhagen. With a process this simple, it’s easy to understand how people are choosing to rent over owning their own these days, especially when safe storage can be costly and difficult. Finishing off our third plate at the market — we’re going to burn the calories cycling right? — we head back to the hotel, locking up the bikes and completing the rental with one last tap of the phone. Rested up, our mini-break over and it’s time to return to real life; time to return to our adopted city of Barcelona. 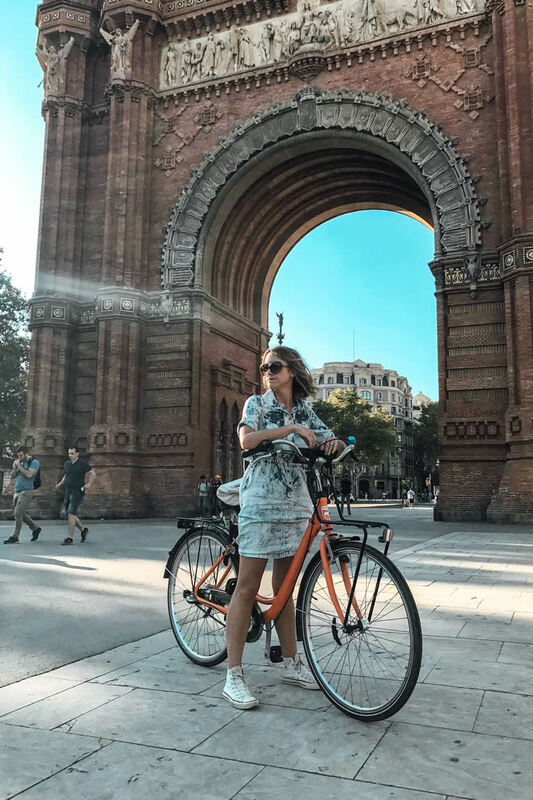 The Catalan capital might be best known for its football team, Mediterranean climate and Antoni Gaudí, but these days it’s a lifestyle destination akin to Copenhagen, with street food markets, a buoyant craft beer scene, and new hotspots popping up literally every week. It is also a surprisingly cyclable city — currently occupying 11th position on the Copenhagenize Index; the comprehensive global ranking of bike-friendly cities. The roads and infrastructure here, combined with the speed of the cars, might initially make one a little apprehensive of cycling. 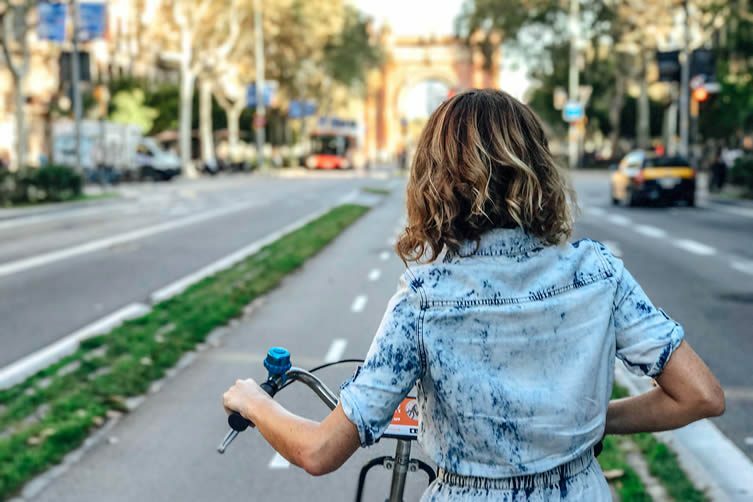 Starting off cautiously — slap bang in the middle of the city’s busy L’Eixample — we make our way to the quieter and more spacious Poblenou neighbourhood, getting to grips with the traffic and noise on our way. That apprehension a short but distant memory, we weave in and out of streets and start to find little corners that we hadn’t seen in three years of living in the city. 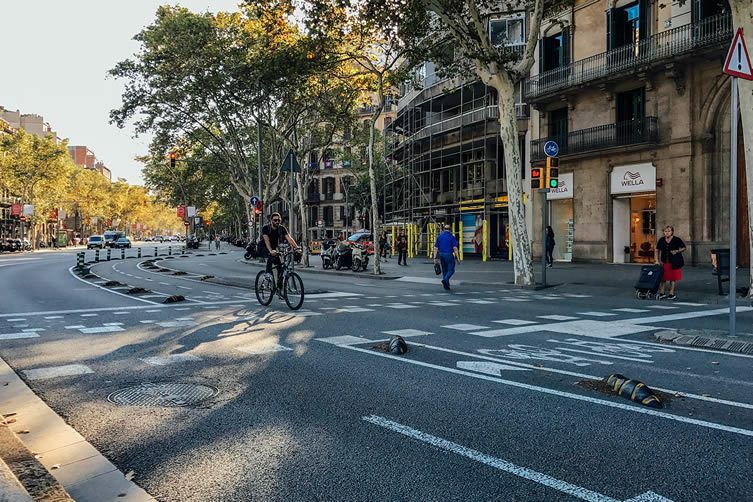 Currently occupying 11th position on the Copenhagenize Index (a comprehensive global ranking of bike-friendly cities), Barcelona is a surprisingly cyclable city. We make our way in the direction of the beach and cycle an easy and pleasant few kilometres along the promenade; stopping for a caña (small beer) and some tapas along the way. 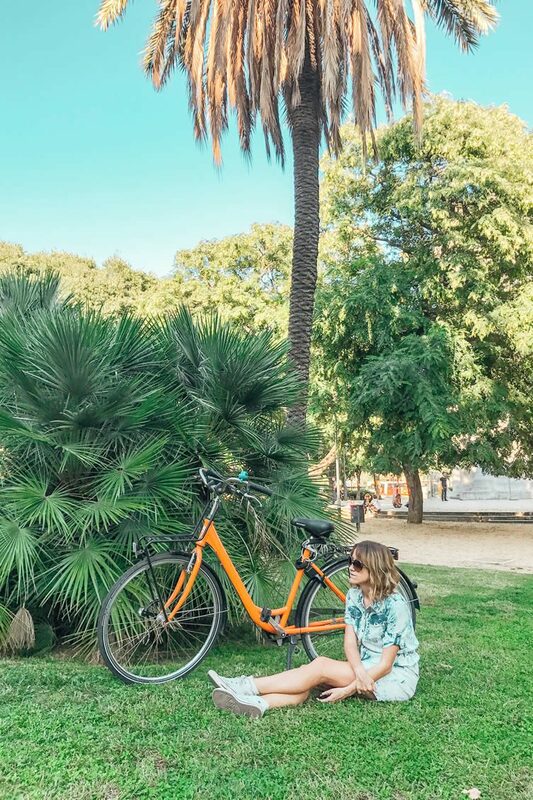 Fast forward a few hours and we’ve covered the best part of 20km, cycled through the city, along the coast, and up one of the city’s lesser-known gems: a vast cycle-tracked park area along the banks of the Besòs river. Eight weeks after the unnecessary cycling apprehension that had gripped me for some three years and I’m a convert. 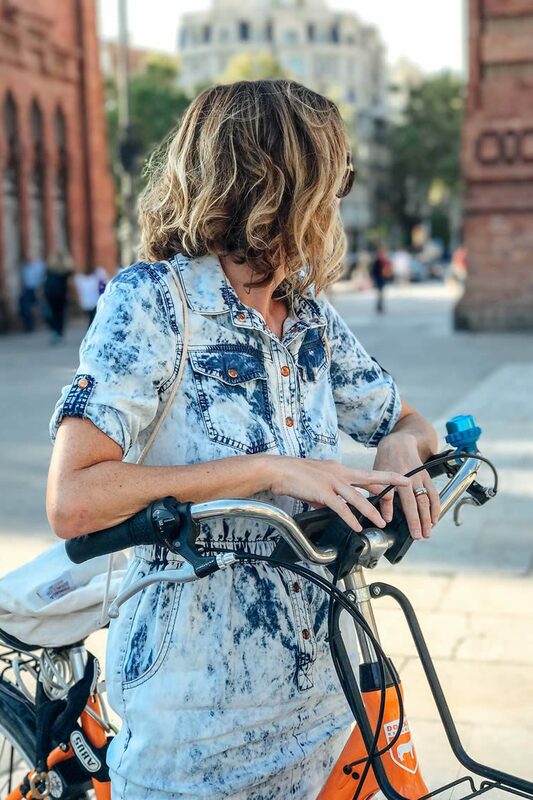 I’ll happily hop on a bike and cycle to the beach, throw on a backpack and cycle up to my co-working space, or simply take a few hours out to explore, enjoy and switch-off. 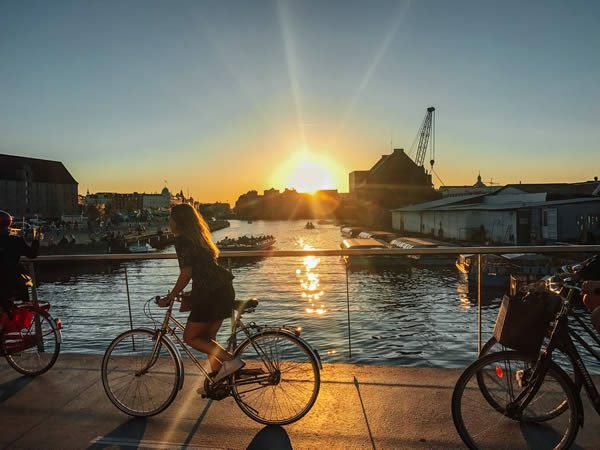 With its climate and culture, Barcelona makes for the perfect city to navigate by bicycle, but it’s not just here and Copenhagen where Donkey Republic can transform your experience of a city. 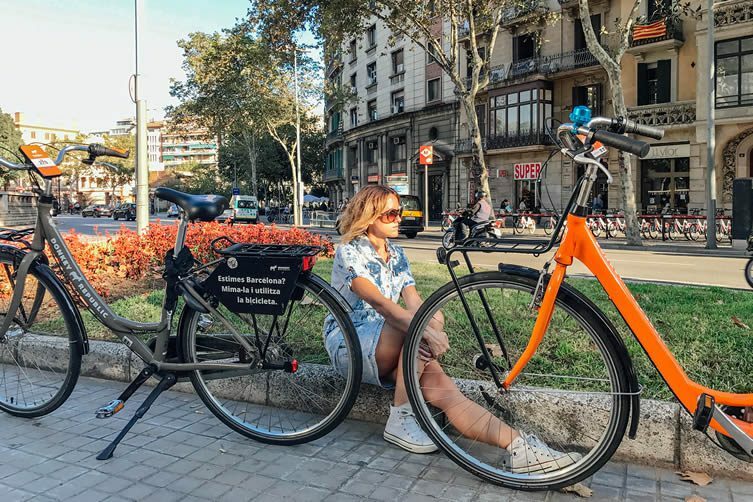 Madrid, Berlin, Budapest, Munich, Vienna … there’s plenty of places where bikes are left scattered around following the same simple principle the roommate began for his friends just five years ago, and plenty more on the way. Accessible, dependable and commonplace, the Republic’s army of donkeys might soon be as ubiquitous as their namesakes were thousands of years ago. Eeyore!